LTD. BACK-STOCK !!! 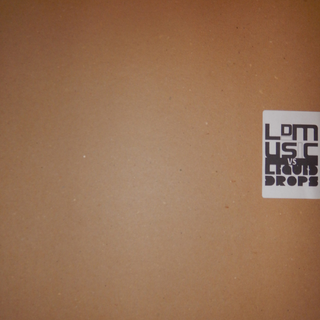 - (SEALED & HAND-NUMBERED 10" / 300 COPIES PRESSED) - LDMusic continue their evolution with a very special collaboration with Greek label Liquid Drops Recordings, showcasing the musical talents of ‘Will Miles’ (USA) & ‘Velocity’ (JP). February 2016 sees the release of LDMvsLDR001 on limited edition 10” Vinyl’s, packaged into recycled sleeves, each vinyl has been hand stamped & individually numbered by us & is the first part of our new ‘Label VS series’. Representing LDMusic on the A Side; Will Miles delivers a deep drum & bass roller entitled ‘No Love’. Tough beats right from the intro on this one flow over the top of a heavyweight sub-bassline, complimented throughout by hypnotic & catchy vocal edits making this track perfect for the dancefloor! The flipside showcases the musical talents of Velocity who represents Liquid Drops Recordings with a rolling remix of his own track ‘Jelly Break’. Giving new life to his liquid funk original by injecting new driving beats and adding subtle inflections to the piano rifts, as delicate phrases are found deep into the mix, and brought out as only Velocity can. DJ support from the likes of LTJ Bukem, Command Strange & DJ Chef to name but a few.